One of the best parts about working at PFF is being surrounded by talented, hard-working individuals. My fantasy colleague Scott Barrett being one of my favorites among them. Luckily for me, and for you, Scott has no life. He spent his post-draft weekend pouring over every franchise’s press conferences to glean whatever bit of insight the coaches and executives unwittingly let slip. 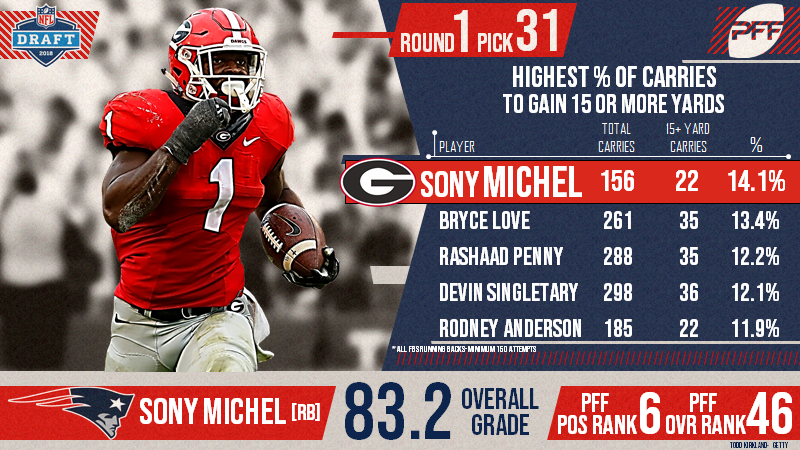 Here are some of the most insightful quotes on the offensive skill position players drafted this past weekend with the added context of PFF’s data. Grier was very correct about Gesicki’s run-blocking, where he never earned a grade higher than 50.5. That still didn’t stop us as well from putting him as the No. 2 tight end on our big board. His 75.0 percent catch rate in contested situations was the best among tight ends in the draft. Josh McCown posted a 77.1 overall grade last season while Teddy Bridgewater had an 82.1 grade during his last healthy season. 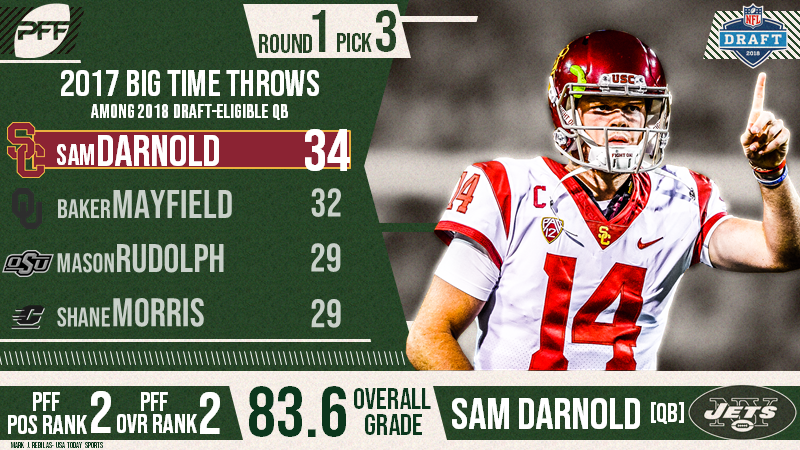 They have other options if they want to ‘redshirt’ Darnold. Not much insight here from Caserio, but the ‘productive in the passing game’ claim is eyebrow-raising. Michel had 63 catches for 578 yards in four seasons at Georgia including only eight this past season. That’s not necessarily indicative of skill level – and his 31 broken tackles on those catches is impressive – but it’s hard to call that productive.